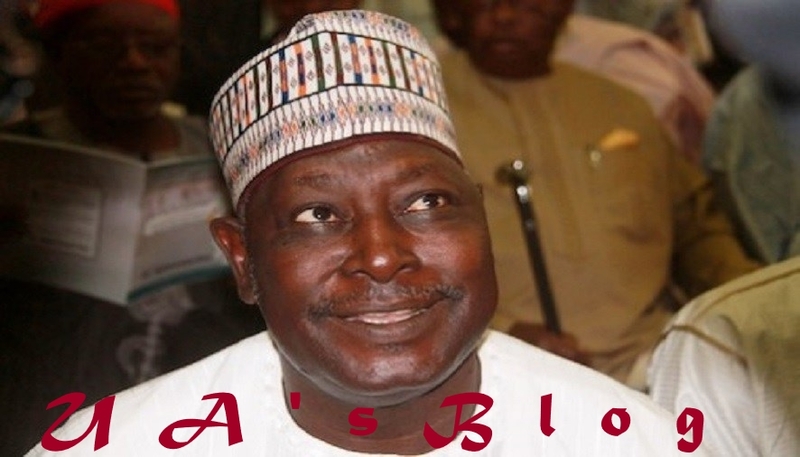 – Babachir Lawal, former Secretary to the Government of the Federation (SGF), has described his sack as a blessing in disguise saying his monthly income as SGF was N953,000 but he made about half a billion last year. Ujuayalogu'sBlog recalls that Buhari fired Lawal in October for allegedly diverting funds meant for people displaced by the Boko Haram insurgency. But Lawal said his absence from government has given him the opportunity to focus on his business. “Let me shock you, before I came into government, I have been in business, I was a very successful businessman,” he said. “I am a world renowned IT consultant and I have a very large farm, spanning over 1,000 hectares, which I abandoned to join governance. “I was earning N930, 000 monthly as the SGF, now that I have returned to my farm and reactivated it after my sack, I now have 4,000 hectares under cultivation. Lawal, who spoke to the press for the first time since he left office, added that everybody who saw him now, complimented him, saying he was looking good and healthy. He, however, said that his sack opened his eyes to a lot of things that were hidden from him, adding that lots of people he helped in the past, ”were actually planning for his downfall”. Referring to the scripture the former SGF said; “everything that happened to a man is for his own good; my sack I would say, is rather a blessing in disguise. “Let me tell you, nothing happened to me. Right from the beginning of the saga, I knew that the whole thing was fabricated and that was why I did not give any damn from the beginning. “The reason some people don’t like me is that I am so confident of myself. Did you hear me defend myself that time, I didn’t do it and I will not do it because I know that they are fabricated,” he said. He added that he had however forgiven all those who wanted his downfall, saying ”forgiveness is my number one principle because I want to make heaven”. Lawal debunked insinuations that he nominated Boss Mustapha, the incumbent SGF, saying “he is, however, my brother and I cannot deny him”. He said Buhari deserves to be re-elected in 2019 following his development strides. He said President Buhari had done so much for the country, adding that before he (Buhari) assumed office, the people of Adamawa were being held captive by Boko Haram sect. Lawal said the government had rebuilt ”virtually everything that was destroyed by the sect, including schools, police stations, markets and hospitals”. “Before his coming into office, I could not go to my village, I could not go to my farm or to my local government, but the situation has changed,” he said. “Now, I can drive to my house even at 2am, I can visit the remotest corners of the village with my family. I go to my farm in the forest and come back safely.